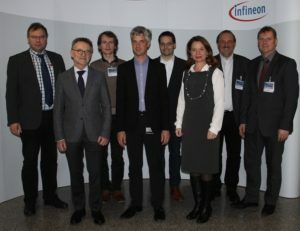 The IoSense Advisory Board came together in Dresden December 19, 2017, to discuss and align on focus topics for the upcoming months. The experts reviewed together with the Exploitation and Innovation Manager as well as the project management team the status and outlook regarding the IoSense exploitation strategy, a methodology to measure the progress towards the overall project goals and the concept for a project-related competitor analysis. The IoSense exploitation strategy including partner-specific exploitation plan is going to be updated and completed by April 2018. Furthermore topics and ideas about innovation processes and platforms to facilitate the IoSense Network and the IoSense Club were discussed. The Advisory Board reviewed also the baselines in terms of time horizon and measurands to track progress towards the challenging goals and targets of the project.